Hi, for the winterhike of which i shared a video last week, I put together the small hatchet with some "test features", being the octagon handle, shorter then usual handle (i usually do 21 inch handles, but this time 14 inch), and used the mix of BLO / Beewax for the handle. 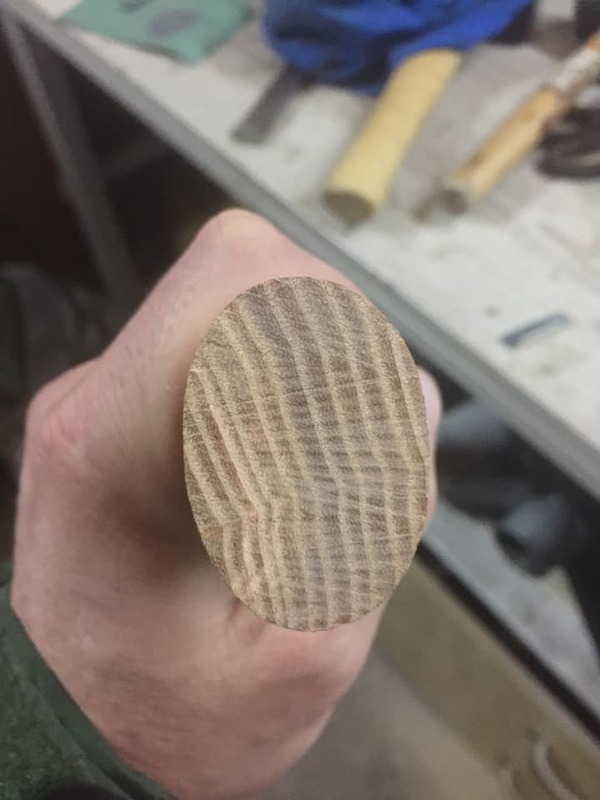 Handle is ash. First I started out with a mix of about 50/50. had the oil quite hot, and warmed up the handle as well, but the mixture hardened quite quickly after applying it on the handle. So i warmed up the handle with the heat gun again for deeper penetration, and then added more oil to the mixture, so now we are at 70/30. Two more layers were added, each time with hot oil and warm handle. 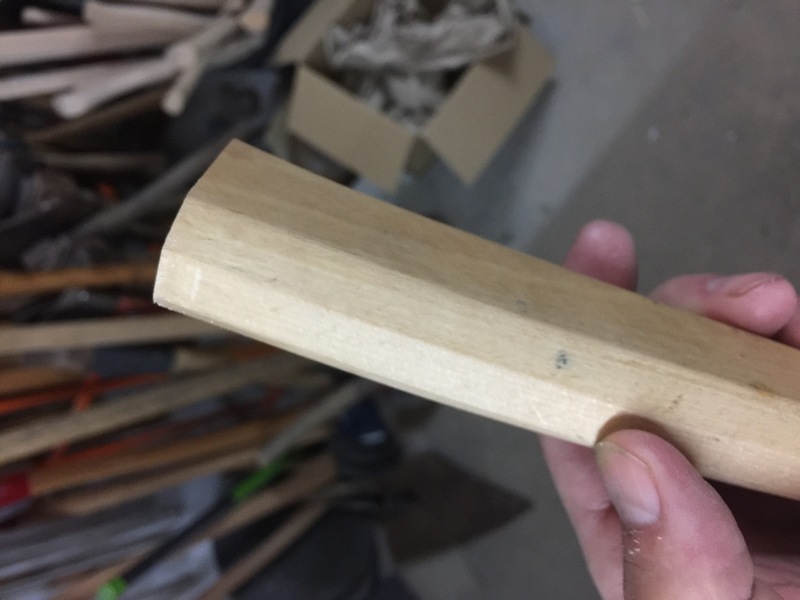 Trip is over and since I had some idea's for improving the shape of the handle, I cut it off. I was surprised to see that there was no visible penetration at all. Is this normal or did I miss something ? This one below only had 3 layers of olive oil on the ash handle, and hanged on the wall of my mancave. You can see around the edges how deep the oil went. And this one below had about 12 layers of olive oil on the ash handle, and then sealed off with beewax, and was used properly for over a period of 5 years. It seems to be completely penetrated. Re: BLO/Beewax mix depth penetration ? It could possibly be that the Bee's wax is inhibiting the BLO from penetrating into the pores of the wood, when I was heavy into muzzle loading we made our own ram rods, the formula we found that worked well to give the rods a lot of flexibility, very little swelling, and more strength in that they didn't crack or break so easily was Kerosene mixed with Boiled Linseed Oil mixed about 50/50 %. We prepped the ram rods and put them in a 2-1/2" by 50" long PVC pipe with a cap on each end and let them soak in the mixture for months, we also did the same with our hawk handles. You might try thinning out the BLO with Kerosene or a little Mineral Spirits and let your test wood soak for an extended period, and check it periodically to see if you're getting the penetration you want, once you feel comfortable with the penetration you can wipe off the excess and hang the handle to dry for a few days, then seal the wood with a mix of Bee's wax and tallow or something like that, even a good paste wax would work. On another site a fellow posted the results of his test of different substances. He ran a series of different mixes and at different temperatures and none of them penetrated. 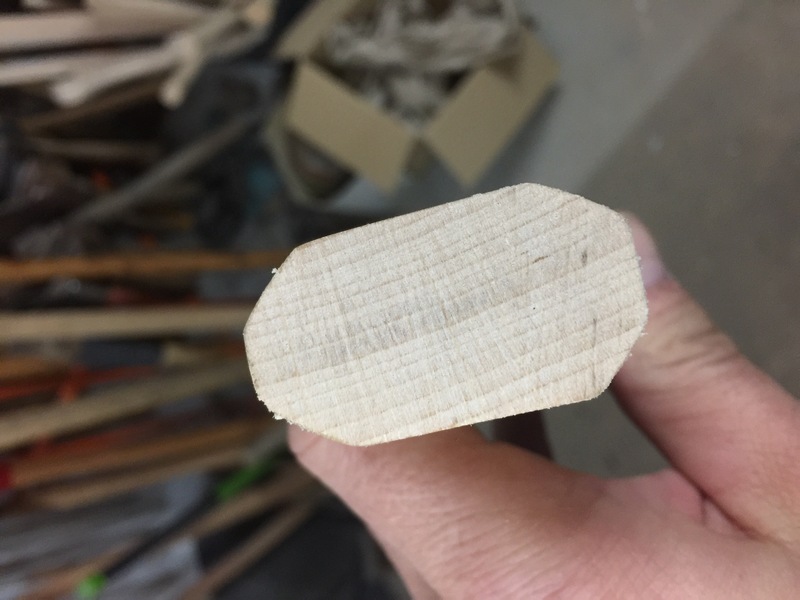 It started as a test on how much you could cause the hatchet handle to swell and tighten up after hanging the handle. He used a variety of things from what you are using to plain old mineral oil and even kerosene. His conclusion is that you get no penetration in hardwood with anything. I soaked my new hatchet handle in BLO by itself for a week and there was no penetration either. I read Moe's post after I made mine. Moe did you ever cut a cross section of one of the ramrods to see if there was significant penetration? Maybe several months would do something. Here is a link to another test of just BLO on different kinds of wood. He shows some before and after results related to swelling of the wood. Aight, I will add some mineral spirit to the mixture and test it again. however much measurably it did or didn't penetrate the bottom line is that using this method we experienced few broken ram rods as opposed to those that we purchased commercially that appeared to only have been stained with epoxy sealer. That aside but on a similar note, I've done a lot of crafting in my time, I've worked with leather, horn, and wood, in doing so I've used many different dyes, oil, water, and alcohol based and I've paid attention to how certain dyes react and penetrate in different mediums, also I've had occasion to soak dried axe handles in a bucket of water to tighten up an axe head, and it works. The way most dyes work is that they are two parts, the color pigment, and the carrier vehicle (liquid), lets take water and alcohol based dyes for example, left unused dye tends to evaporate, actually it's the water or alcohol that evaporates the color pigment remains unchanged, used in that state the pigment dries on the surface of the item being dyed and when the item is brushed or polished the color comes off, in order to keep that from happening simply replacing the water or alcohol that went missing restores the dye to it's original strength which allows it to penetrate much deeper into the material. In order to actually dye something you have to have enough carrier to achieve proper penetration of the material, getting back to wood, specifically hardwood, in my experience you're never going to achieve 100% penetration of any type of dye or preservative in wood unless its subjected to some sort of pressure, the type of process used to make pressure treated lumber. But that said I've experienced pretty good penetration in my hawk and axe handles and in my wooden walking sticks, now the guy who wrote that article may not be impressed with what I call "pretty good" scientifically, but in my real life experience a good piece of wood intended to be used on an impact tool or walking stick doesn't need 100% saturation, all an axe handle needs is about 1/8" on the outer or exposed side to keep the elements at bay and keep the outer layers of grain flexible so that they don't split or crack on impact. The only 'tools' that I actually soak for extended periods (a couple of weeks) are my splitting axes and mauls because they are constantly exposed to the elements and my canoe paddles which I do over every couple of seasons, my favorites are a pair of beavertail paddles made by Grumman that I bought with my first new canoe back in 1977, and they are still looking pretty good after all the years, I put a band of two part epoxy around the tips to keep the paddle part from splitting and saturate the rest everyday or so for a couple of weeks, so far so good. It should also be noted that in order to get any preservative to penetrate wood the wood has to be able to accept it, if the wood is completely dried out the penetration will be good, but if the wood retains any of it's natural moisture it can't accept any more from outside, how they treat pressure treated lumber is they put it in a tank full of preservative then inject pressure into the sealed container, the pressure forces the natural moisture in the wood out and replaces it with the preservative, so, the drier the axe handle or what ever, the more penetration the item will achieve, IMHO. 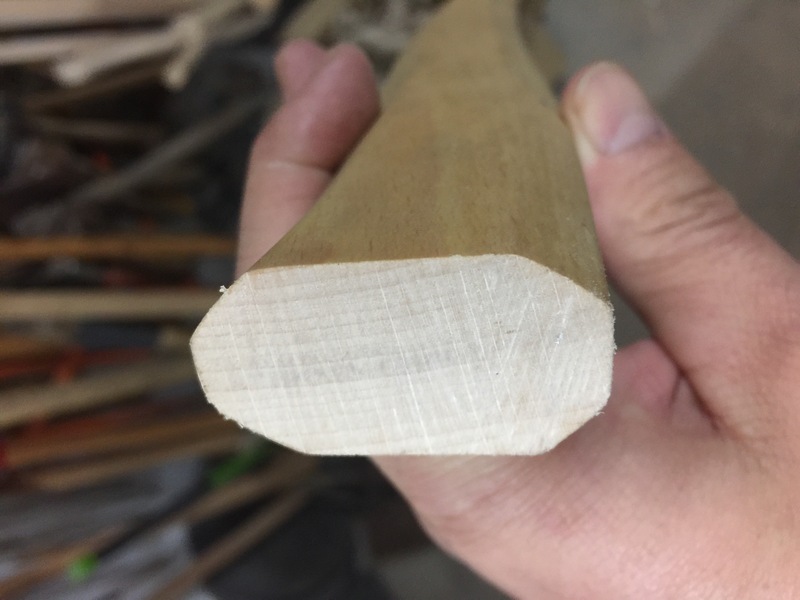 Dab, you have to start out with a dry handle blank to begin with, if the wood you are using still has any of it's natural moisture it's not going to accept anymore than it's able to. 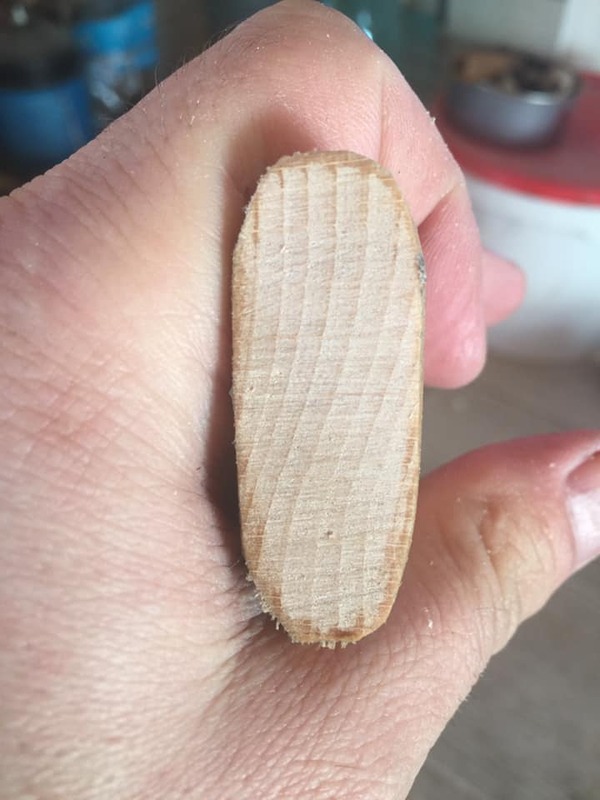 Think of the pores of the wood as little bottles, if they are empty they'll accept what ever you are trying to fill them with until they are full, but if they are full or close to it you can't force that natural moisture out and replace it with your preservative very easily under normal circumstances. Also, you have to have a "carrier" which will help the preservative infuse itself deeper into the material, boiled linseed oil is fairly thin but thickens quickly on contact with air and will tend to dry on the surface of the wood, bee's wax in it's natural state is solid, both are preservatives, but neither has a carrier or vehicle that allows it to sink into the wood, Kerosene or mineral spirits is thin and is easily accepted into most dry materials including wood, neither Kerosene or mineral spirits will dry out completely but will mosty evaporate over time, so once it's done it's work of dragging the BLO into the pores of the wood it'll pretty much dry up leaving the BLO intact. I think the pressure treating method works and like you said, if you got less breakage the way you were doing it, then it works. I have a whole bunch of opinion on this, but also questions. What do you believe are the benefits of oil penetration? The points on the helve needing the most protection are the end grain sections. Seal with CYA or epoxy. To protect against real moisture use a "soft wax" like beeswax and turpentine. Kept in a small tin rubbed in when it's wet out. In the dry of winter, indoors especially with fireplaces a helve could be too dry to use. a green twig bends and a dry one snaps- that sort of thinking. Ones body can become dehydrated or over hydrated- which is worse? You're drifting ole timer. . BLO is not preservative. You are talking in a language of liquid water. We have to first, at least get to the level of equilibrium with the vapor environment to be in the realm of helves, handles and hafts. The handles are dry already from the factory, plus usually one year stored in my tool shed, so no doubt there. Plus when working on the handle i sand them completely down, and remove dust with mineral spirit before the oiling begins. My aim is not to have deep penetration, but at least some, so protect the wood from the elements, even when scratched or dinged up. My favorite way is oil (blo or olive) and then sealed of with beewax or birchoil, the last one gives a nice darker color to the grain as well. I never tested the blo/beewax mixture before, but wanted to try it since a lot of people in the usa seemed to favor it, i've came across on it here, on other forums and as well on the facebook axe pages. It did protect the handle well from the snow and ice, thats for sure, I was just very surprised about no penetration, but looks like this is caused by the thickness as described above by you guys. I do believe some sort of treatment is needed. with temps swinging around here from 95f to -13f, blank wood usually does not last long here.